I have been riding the Beast to commute to work every day. After reaching the 200 mile milestone, I decided to share my experiences. The good, the bad, and the ugly. Riding The Daymak Beast in Idaho...100 miles later. Okay, we got our hands on the first Beast and we put it through the wringer. We want to share with you the good, the bad, and the unexpected. 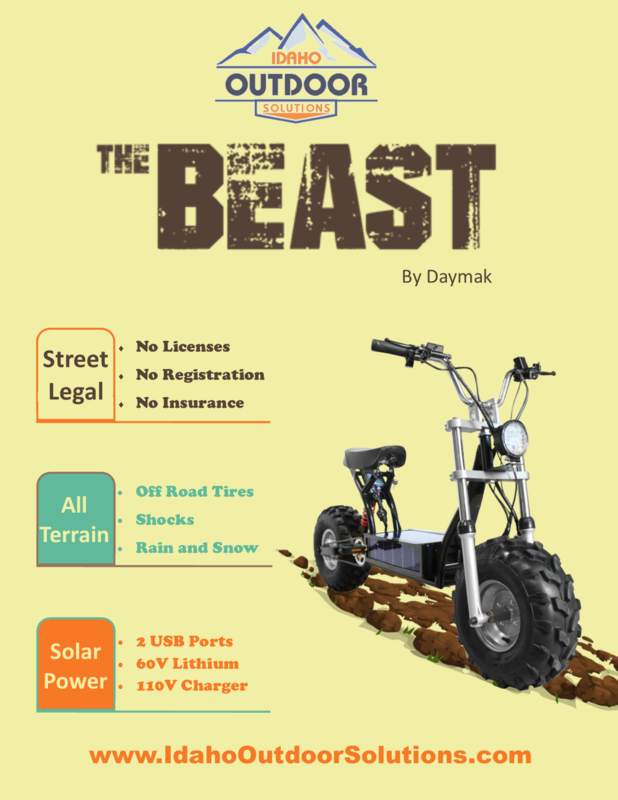 The Beast is a unique take on transportation. 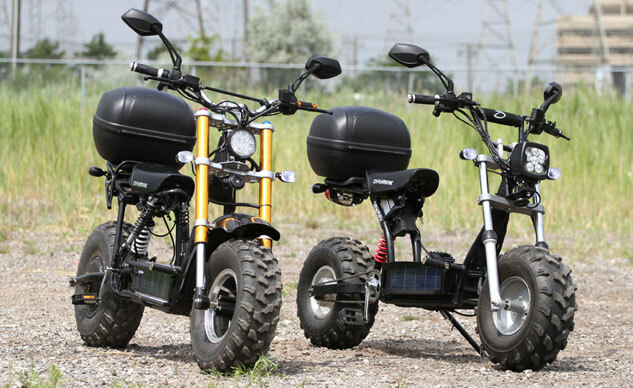 It is an off-road, yet street legal electric powered bicycle that reaches speeds up to 20 mph. And because it is a bicycle, it does not require a license plate, annual registration, or insurance. Furthermore, the rider does not even need a driver license. Best of all, the Beast has its own solar power charging system. You can use the system to charge the Beast as you ride or use its two USB charging stations to power your electronic devices.